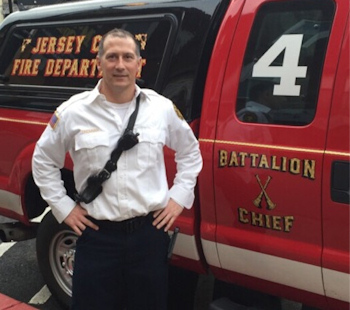 Deputy Chief Paul Drennan, who is currently the B Group Tour Commander on the Jersey City Fire Department, leads Fire Officer Training Academy. He has worked with JCFD since 1994. He has had the opportunity to work in some of the busiest companies in the city including Squad 4, Engine 22, Ladder Tower 4 and was an alternate at Rescue 1. As a Battalion Chief, he was in charge of the 4th Battalion with 7 companies under his command. As a Deputy Chief, he was assigned to Chief of Training for one year before becoming the B Group Tour Commander. He was also a member of the New Jersey Task Force team for five years. The program started when Deputy Chief Paul Drennan began privately tutoring firefighters and officers for their promotional testing. He has had incredible success, preparing his students who continually are promoted or currently waiting on a promotional list after obtaining a high score on the exam. And he can do the same for you! Call us today if you are interested in classes and Paul or one of our other instructors will discuss the results driven strategy that will be used for your test preparation. It’s time to get the edge over your competition and get the promotion you deserve! Contact us today at 732-779-9214.